As speculation over how Fine Gael and Labour will divide the 31st Dáil’s cabinet posts, reports emerge that the Labour leader will take the Foreign Affairs ministry. 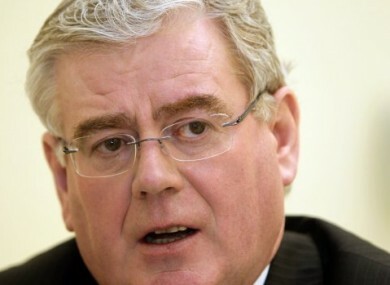 Irish Labour Party leader Eamon Gilmore. WEDNESDAY WILL SEE the 31st Dáil sit for the first time – and with the programme for government agreed upon, all eyes have now turned to the structure of the new cabinet. The programme for government demands that each party will have a senior minister in the Department of Finance; Labour is to take responsibility for the public expenditure and public sector reform, while Fine Gael is to take responsibility for the budget, taxing and banking. RTÉ’s David Davin-Power has reported that Labour leader Eamon Gilmore is now expected to become the new Minister for Foreign Affairs, and that trade is expected to move to that portfolio from the Department of Enterprise, Trade and Employment. The Labour Party said it could not confirm that rumour. Davin-Power also suggested the Department of Community, Equality and the Gaeltacht Affairs may be divided up to facilitate an extra finance seat in the cabinet. Earlier, there was speculation that Labour could get the attorney general position, with the Irish Times reporting that financial secretary Máire Whelan SC and family lawyer Gerry Durcan are possible contenders for the post. Fine Gael will have ten cabinet members and Labour is expected to get five members – as well as another “super junior” minister, the Irish Independent reports. Tomorrow’s first order of business will be to elect a new Ceann Comhairle and then vote for the new Taoiseach, after which the cabinet will be unveiled. Email “Labour’s Eamon Gilmore to get Foreign Affairs: reports”. Feedback on “Labour’s Eamon Gilmore to get Foreign Affairs: reports”.